Welcome home! Quiet and convenience abound in this wonderful home! This open floor plan with custom features and charming character will never go out of style. 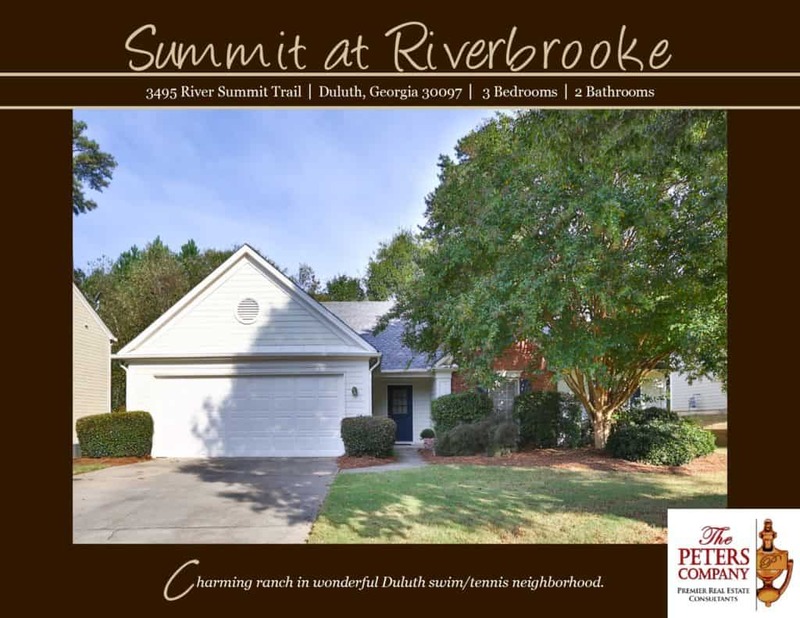 The close proximity to I-85, Peachtree Industrial Boulevard, and Buford Highway makes this home convenient to and from any direction. Nearby attractions include Gwinnett Place Mall, Discover Mills, and the Gwinnett Arena. The home is nestled between great neighbors in a bustling swim/tennis neighborhood. -Single level living with a great flowing floor plan. -Recently remodeled kitchen features granite counters, stylish backsplash, island, breakfast area, and pantry. -Spacious living room has vaulted ceiling and gas starter fireplace. -Separate dining room is perfect for entertaining. -Master bedroom is a true retreat including a vaulted ceiling, walk-in closet, and bathroom with double vanity, heated floors, garden tub, and separate shower. -Two additional bedrooms are well-sized and bright. -Wonderful community amenities include a pool, tennis courts, lake, and playground. ← Congratulations, Patrick! Your Briaridge home in Lakeside HS is SOLD!